Exhibition Stands, Exhibition Stands UK, Exhibition Services | 200m2 | Exhibition Furniture Hire: Our Top Tips! Exhibition Furniture Hire: Our Top Tips! 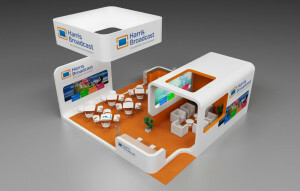 Exhibition furniture is an area of exhibition management which is often overlooked. But whilst it’s not as important as say the location of your exhibition stand within an exhibition hall, it is still a very important part of an organisation’s exhibition strategy. Like your exhibition stand, your exhibition stand furniture will say something about your organisation to your clients, prospects and competitors – your exhibition stand furniture projects your brand identity. Think carefully about your exhibition needs: Do you want potential customers to be able to sit down? Would you like to demonstrate a product or show a video presentation? Practically, what facilities will your stand staff need to do a good job? What about electrical connections and lighting? The right exhibition furniture will attract a prospect on to your stand. Meeting tables and screen partitions provide meeting areas where your conversations are shielded from passers-by and more importantly, your competition. Storage keeps your bags and coats locked away – secure from thieves but also out of sight. Reception desks will encourage people to make enquiries and the smell of a fresh coffee machine can be a license to print money! First off, you need to decide if you are going to buy or hire exhibition furniture. In most situations, the best thing to do is to hire exhibition furniture — unless you’re in the business of maintaining, transporting and storing things! Remember, if you buy a sofa or some stools for a counter, they can quickly look out of date. They can also get damaged in transit or in storage – mould and damp are the exhibition manager’s biggest headache! Exhibitire furniture hire ensures it always looks like new. 200m2 is one of the UK’s leading exhibition services companies. If you’d like to discuss your own exhibition furniture needs, please get in touch. Next Next post: Exhibition Shell Schemes: What are they?